Sports are important to me. They have given me great memories with my father, bonded me to lifelong friends, provided life lessons and exposed me to some of the most amazing moments in life. I gained life skills from sports that have permeated throughout my life and still show up when I do my best as an employee, a friend and a citizen. Sport has given me so much and helped me become the person I am today. After 15 years in working on organizations working to end sexual, domestic and dating violence, I have recently joined the staff of Raliance, a national collaborative committed to ending sexual violence in one generation. Based in its Washington DC office, I have the opportunity to build on Raliance’s work to support sport in being part of the solution to ending sexual violence. The online resource Sport + Prevention Center provides a strong foundation for this work. Someone reminded me recently that I once told them, “If something is accepted or happens in sports, the rest of the world follows.” There are so many examples to support this: example include Jackie Robinson, Michael Sam, Muhammad Ali and Billy Jean King. Each of them along with their teammates and fans helped make an impact or our society and change the way we see the world. I believe that sports can do this as well to help end sexual violence. 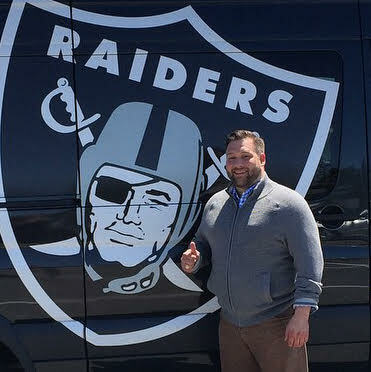 Over the years I have presented about preventing sexual and domestic violence to teams from high school to professional sports including the Oakland Raiders, Florida State’s Football team, and Texas high school coaches. Consistently I found coaches, players, administrators who were living and role modeling the same values and skills that I had been exposed to. They understood the need to build in education, accountability and expectations on sexual and domestic violence into their teams and organizations in order to help their athletes be successful. They talked about wanting players and their programs to be the “example” for others on the issue. This is how sport is part of the solution to end sexual and domestic violence. By instilling prevention strategies into these modeled values and experiences, sport is positioned to touch everyone at some point in their lives, as an athlete, coach or fan. Through sport we can model and create a culture that can prevent sexual violence. I’m excited to work with members of the sport community to seize upon the opportunity to create healthy relationships and promote prevention efforts in this space. I look forward to being a part of Raliance to fulfill its vision to end sexual violence in one generation. PreventConnect-California Coalition Against Sexual Assault is one of the national partners in Raliance.